Steam shower with travertine wall panels, heavy glass shower door, vinyl plank flooring, heated floors, custom concrete vanity top and bench seat, reclaimed barn wood, rusted steel, Showplace cabinetry. 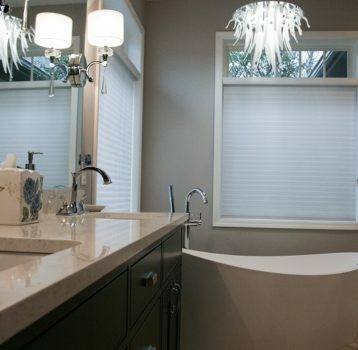 From hunter green floor tile and brass framed shower door to a spa haven of mixed materials, this master bathroom jumped to a whole new league when the wish list became reality. In their own words, they wanted “creative, fun, and mixed materials” paired with “easy to clean”. 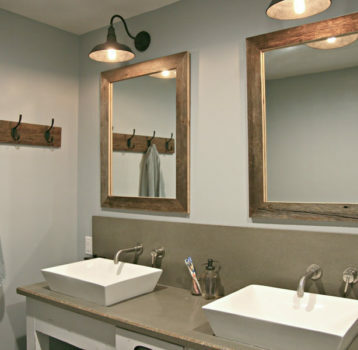 Reclaimed wood planks frame the concrete seat and require zero maintenance. Rusted corrugated steel is another authentic texture, as is the Vein Cut Silver Travertine used in the shower, both natural materials with low maintenance requirements. Shower pan from The Onyx Collection. 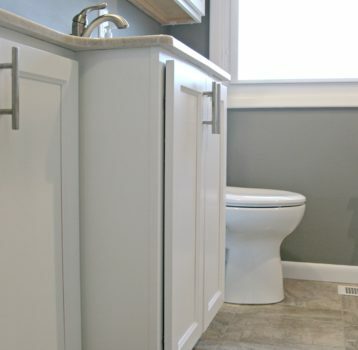 Concrete sinks, vanity and bench will need only occasional sealing and reveal one of a kind beauty. 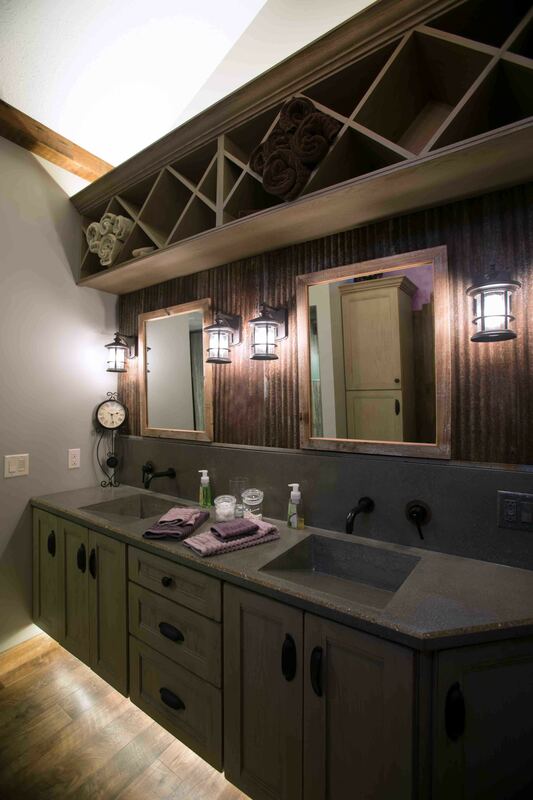 Trims and plumbing fixtures in oil rubbed bronze blend into the rustic tones. Lantern style lighting fixtures provide appropriate task lighting while matching all existing elements.